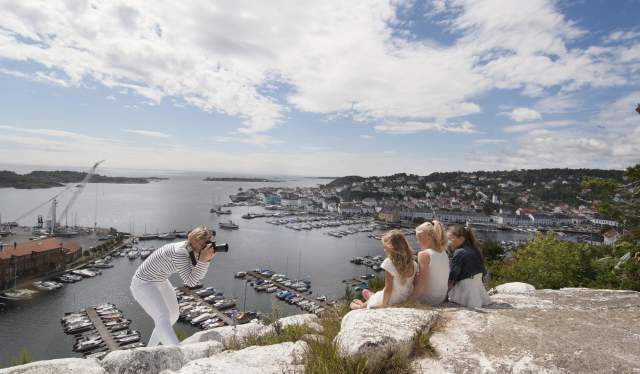 The coastal city of Risør offers activities for families with children including an aquarium, a small zoo, beaches for swimming, fishing and other water related activities such as kayaking and sailing. Vegårshei offers hiking, swimming, fishing and snow skiing activities. Beachlife at Randvik beach in Risør. 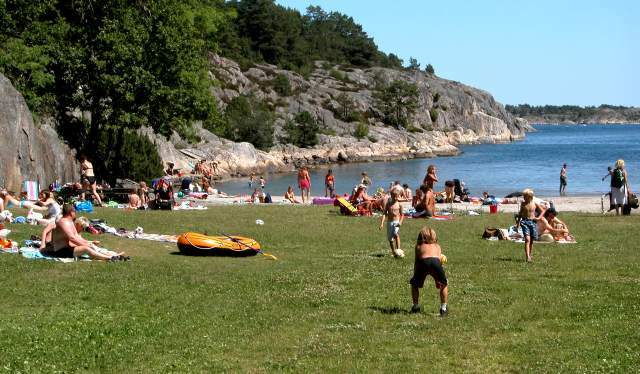 Being a coastal town, there are a number of great, family friendly beaches in Risør, several of them being accesible for wheelchairs and strollers. There are both salt water and freshwater swimming areas and one of the most popular is Sagjordet beach. Sagjordet beach is a public salt water swimming area which is located a fifteen minute walk from the town centre. Here you will find a sandy beach, lawn, diving board, swimming jetty and a barbecue area. The place has toilet facilities, shower and parking. Other swimming areas in Risør are Randvik, Kastellet, Mindalen, Lille Danmark, Perleporten, Røed and Stangholmen (all in seawater) and Urheia (freshwater). A map to these beaches is available from the tourist office. A short drive from Risør will take you to Sild which is famous for its large potholes next to the coastline. 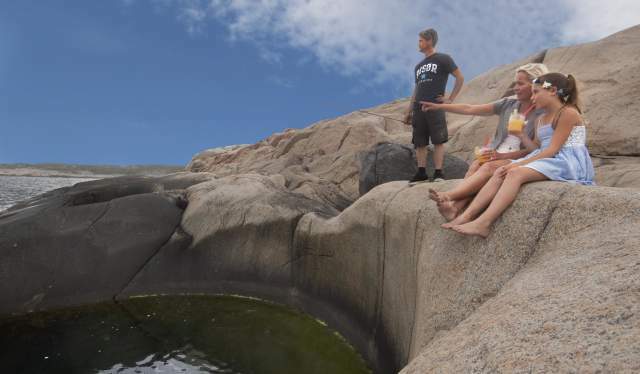 These are the largest potholes in Northern Europe and during the summer, they are very popular to take a swim in. These potholes were created 10,000 years ago after the ice melted from the "ice age" with some of them up to five metres deep with six metres in diamater. There are trails clearly marked with signs so they are easy to find. Risør is famous for its long history with wooden boats. 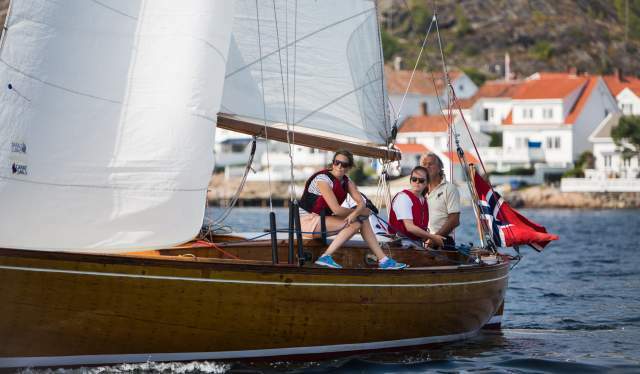 For hundreds of years, there were several boat makers in this region and to celebrate this, Risør hosts a Wooden boat festival called "Trebåtfestivalen" which takes place in August over two days. Children have their own designated area with activities including the chance to make their own wooden boat souvenirs. There are a variety of shows and music from various stages as well as street parades and regattas. A city tour with the city watchman - this city tour occurs during the summer every Wednesday at 8.00pm with a local watchman wearing a traditional costume. Risørflekken - "The White Spot" is an old seamark with nice views. It starts from the market place and takes approximately 15 minutes. Vakthusheia - "Watchmans hill" is a one hour walk from Barmen through hilly terrain to the top with panoramic views.